The CFTC is seeking industry comments on the ICE Clear Credit request for "Commingling" and "Portfolio Margining". 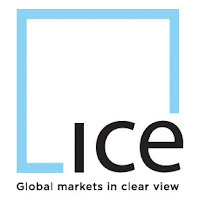 As a bit of background ICE (the Intercontinental Exchange) is preparing a platform to clear credit default swaps (ICE would become a "clearinghouse"). It's a slow and tedious process because so many regulatory and "plumbing" (process/technology) issues need to be worked out for CDS. In their infinite wisdom US politicians have split the regulatory oversight over CDS clearing. Index CDS (such as CDX) are to be regulated by the CFTC, while the SEC is to regulate "single-name" CDS (for example CDS protection on Ford). The rationale here is that the SEC regulates public companies - therefore "single names", while the CFTC deals with futures, many of which are indices. It is quite common for industry participants to have both types in the same portfolio, for example selling protection on one or more single names while buying protection on the index. 1. Keep both single-name and index CDS in a single customer account (separate accounts for different customers of course) in order to allow clients offset gains on one with losses on the other. This is particularly helpful if the strategy is some sort of a spread trade or one type is used to hedge the other. 2. Allow portfolio based margining in this single account. That is if the long and the short CDS have significant risk offsets (short single name CDS vs. long CDX for example), the margin requirement would be reduced. That is the lower the risk, the lower the margin. Obviously there would be the "jump to default" margin charge for each position that can't be "hedged", but portfolio diversification would help reduce that charge. This is a sensible way to structure CDS clearing and should be permitted. If the CFTC does not accept this request, it will put a significant damper on CDS liquidity, making it that much harder for institutions to hedge credit portfolios and reduce risk.